The artist-author re-imagines the Greek myth of Persephone within the context of the #MeToo movement. #MeToo -Persephone offers a retelling of the descent into the Underworld that takes Persephone out of the roll of victim, and instead focuses on her empowerment, personal strength, and choice. The importance of this story is that, while we don't get to choose what happens to us, we do get to choose how we live afterward. 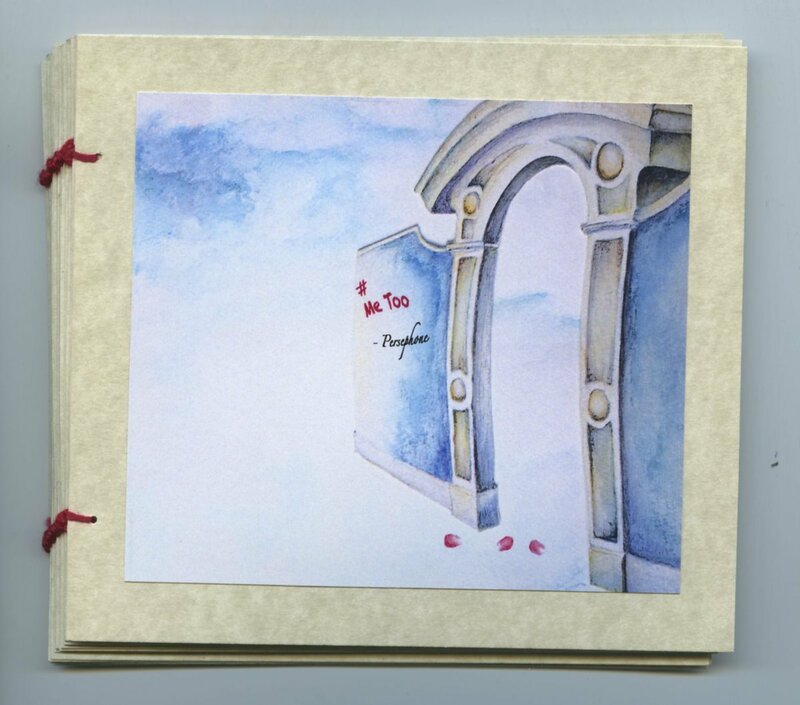 30 pages, 3 "reveal" half-pages, and a booklet-within-the-book that tells the traditional Greek myth. Hand-bound.